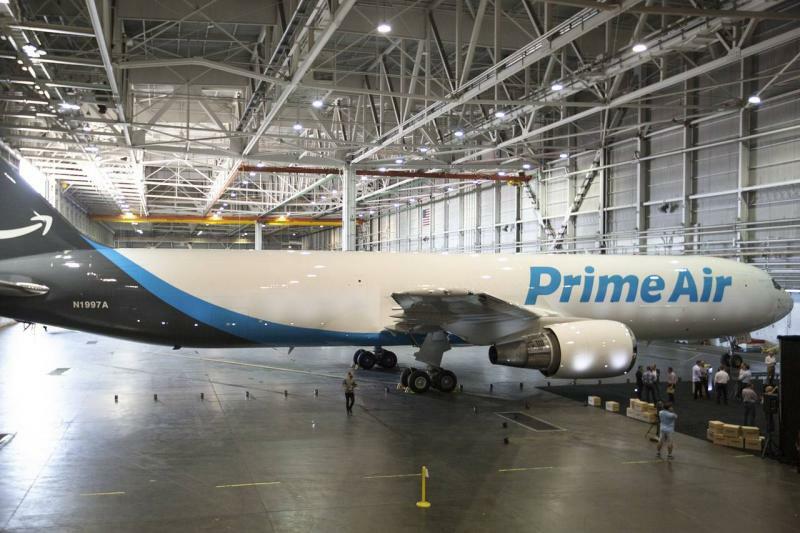 Amazon unveiled its first branded cargo plane today, and will showcase its fleet of 20 branded 767-300 planes in Seattle, WA on Friday. The airplane, named Amazon One, is one of 40 that Amazon has agreed to lease through air cargo partners Atlas Air and ATSG. There are currently 11 dedicated airplanes flying for Amazon as of today with additional airplanes rolling out over time. In an ode to its Prime members, Amazon’s first airplane in its dedicated fleet features a tail number made up of a Prime number. Next Post:Can Technology Predict the Presidential Election?